Payment Policy: Please note that your credit card will be charged in full 5 days prior to your check in date. If your credit card declines one of our team members will reach out to you via email and or phone call to get another form of payment on the 5th day prior to your check in date. If we do not receive another form of payment by the 4th day prior to your check in date your reservation will be cancelled. Please note that if you booked the Early Booking Rate your credit card is charged in full at the time of making your reservation. PLEASE NOTE THAT IF ANYTHING IS DAMAGED, BROKEN OR MISSING FROM THE PROPERTY AFTER CHECKOUT THE CREDIT CARD ON FILE WILL BE CHARGED ACCORDINGLY.FURTHER, OUR PROPERTY IS A NON-SMOKING PROPERTY AND SHOULD YOU SMOKE IN THE ROOM YOU WILL BE CHARGED $150 WITHOUT EXCEPTION. Although Jet Luxury Resorts manages exclusive units within these properties, these rooms are the same rooms as the hotels' and all check-in/check-out procedures are the same through the hotel’s front desk. Please note you will be charged directly by Jet Luxury Resorts for your room accommodations(this will show Jet Luxury Resorts, San Diego on your credit card statement.) Further,please note that you have booked your stay with a third party management company and all correspondence regarding your booking needs to be directed to Jet Luxury Resorts and not to the property itself. 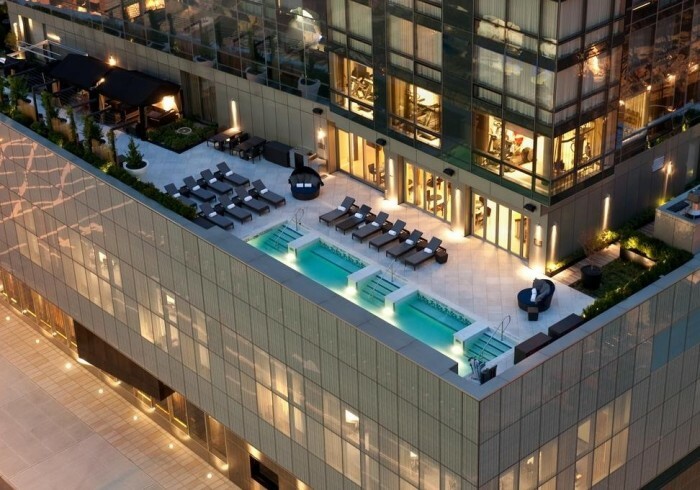 Jet Luxury guests receive the guaranteed best rate and elite access into exclusive inventory at The Dominick Condo Hotel in Manhattan. All hotel amenities are provided with your reservation.Adding distinction to the skyline, Jet Luxury Resorts @ The Dominick Condo Hotel, New York will bring a new perspective of Manhattan from the SoHo New York neighborhood. The impressive 46-story tower places you in the heart of New York City's most exciting neighborhood and soars above Spring Street to allow for unparalleled views of the City. Guests enter through a dramatic two-story conservatory into a grand lobby reminiscent of luxury New York hotels of the early 20th century.Exclusively at The Dominick, floor-to-ceiling windows complete the cosmopolitan setting, providing a view no other New York City hotel can offer, extending to the Hudson River, Statue of Liberty and Empire State Building. The five star experience you will enjoy at the The Dominick Condo Hotel, New York Luxury hotel will surpass any and all expectations. Book your next New York City vacation with Jet Luxury Resorts at The Dominick Condo Hotel and receive the best hotel deals in New York.